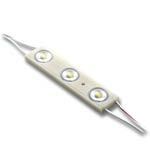 Our 3 Chip LED Modules are made to provide a bright light in a thin space. 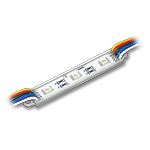 These small yet bright modules are perfect for narrow signage, cove accents, custom auto applications, back lighting, or any application where a thin and bright light is needed. 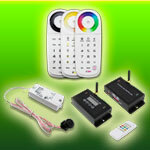 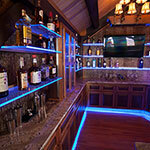 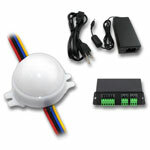 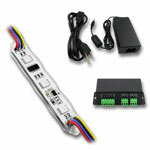 We also have digital 3 Chip LED Modules that can be individually programmed for one of a kind color chasing effects. 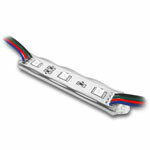 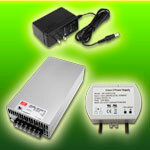 All 3 chip LED modules are CE and RoHS approved.